Posted on Tuesday, March 13th, 2018 at 8:18 am. On World Book Day 2018, the whole school celebrated the transformation of the Thomas Reade Library – with new books, new murals and an entire school celebrating the power of reading! 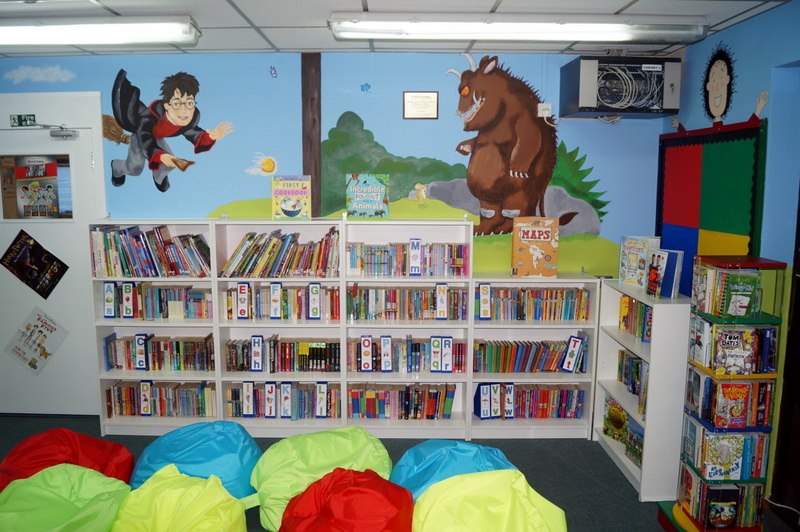 With book character’s including Roald Dahl’s Charlie and Matilda, Thing 1 and Thing 2, and plenty of Harry Potters, Alices, superheroes and Percy Jackson, the youngest (Lauren) and oldest (Rachel) pupils in the school cut the ribbon to declare the refurbished library open. The windows had been blacked out all week, so this was the first time students had got to see the brand new murals created by Sophie and Jayne Evans. Huge thanks to the School Association for their amazing contribution to make this all happen.